Jumpstart Automotive Group made some interesting observations around a particular demographic of car shoppers in its recent Today’s Auto Shoppers study conducted in conjunction with Ipsos Connect. Among the most notable finding: Hispanic shoppers like to buy new cars. They place a high value on quality and brand reputation. And they’re not generally looking to trade in their vehicles. Libby Murad-Patel, vice president of strategic insights and analytics for Jumpstart Automotive Group, said that automakers and dealers would do well to pay attention to these and other insights gleaned from the study. 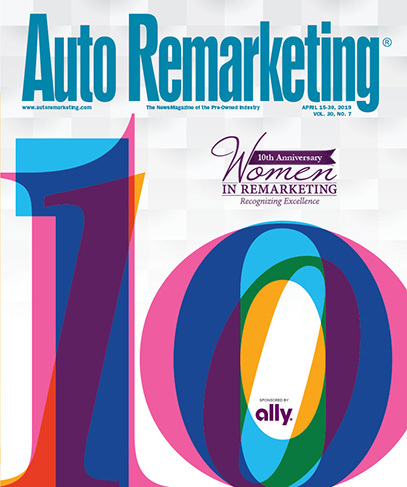 “It was an interesting group to dig a little deeper into,” Murad-Patel told Auto Remarketing about the Hispanic-specific stats from the study, which sought to understand how auto shoppers conduct research and to inform automakers and dealers how to win them over. A big reason why Hispanic buyers gravitate toward new, Murad-Patel said, is that they often plan to hold onto a vehicle for a while, then pass it down to a family member. “They look to get longevity out of the vehicle,” she said, adding that they don’t tend to trade in their vehicles. The study found that more Hispanics — younger men, in particular — by new cars as compared to the total population: 71 percent vs. 64 percent. And 45 percent of them are in the market for a new car every 1 to 3 years, versus 37 percent for all study participants. Hispanics, however, place brand reputation second on the list. The top five brands owned by Hispanics: Ford, Toyota, Honda, Chevrolet, Nissan); this mirrors the top five brands in the market based on volume. When looking at the top five brands for which Hispanics outpaced the total population (within this study) in ownership, they are: Tesla, Mercedes-Benz, Audi, BMW and Toyota. “Thinking about the next vehicle they’re looking to purchase (within the next three months), the same brands rose to the top in highest percentage (though some shifting of rank), but there was much larger interest in mainstream brands such as Hyundai and Kia (compared to ownership) and we saw a lot of interest in luxury brands,” Murad-Patel said. —Hispanics showed higher propensity to use a mobile device while shopping at a dealership (48 percent said they have done that, compared to 39 percent in the total population). They were more likely to look up vehicle reviews and rankings than the total population, but are also doing more comparison shopping and searching inventory. —Although many people are making their decision in a shorter timeframe, Hispanics did outpace the general population when it comes to the one- to four-month shopping process (28 percent versus 24 percent). monthly payment is a higher consideration for them than any other group. “They were really more focused on purchase price overall. A lot of (Hispanic buyers) really weren’t looking to finance; they wanted to pay cash,” Murad-Patel said.